If you have arthritis in your knee, does that mean that it will hurt? Not necessarily! 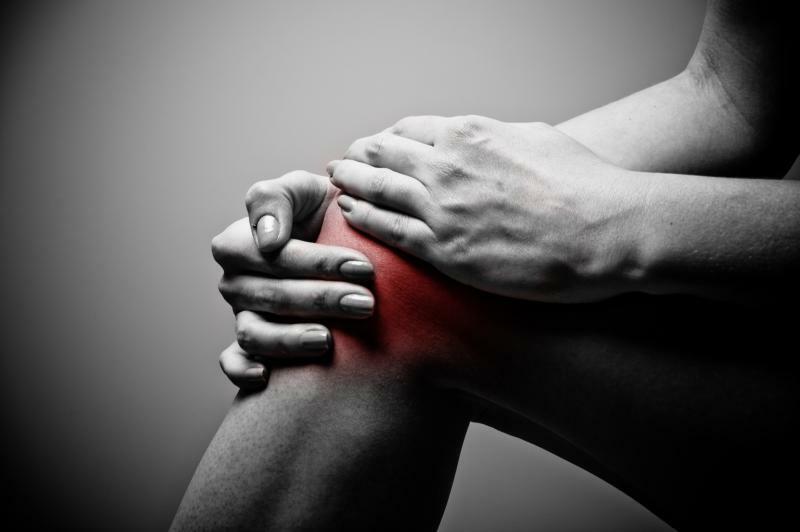 Once you have been diagnosed with arthritis in your knee, the first thought is often - SURGERY! Right? However, did you know that the primary treatment for Arthritis is exercise? The American College of Rheumatology has exercise listed even before medication - and definitely before surgery! About 27 million Americans are living with OA (Osteoarthritis), the most common form of joint disease. The lifetime risk of developing OA of the knee is about 46%, and the lifetime risk of developing OA of the hip is 25%, according to the Johnston County Osteoarthritis Project, a long-term study from the University of North Carolina and sponsored by the Centers for Disease Control and Prevention and the National Institutes of Health. Surgery is generally indicated in cases of knee pain that do not respond to conservative measures such as Physical Therapy, medication, and injections. Function is limited, quality of life is affected, and most of the time pain becomes unresponsive to treatment. An MRI is usually ordered to help the surgeon form a pre-op diagnosis in order to provide the best procedure. Good FACT to Know: Patients who undergo a short bout of Physical Therapy prior to surgery recover faster, have less pain, and generally do better than those who don't. The key is getting the right exercises prescribed for your particular knee problem. Not all arthritic problems of the knee are the same. A good Doctor of Physical Therapy can perform a thorough exam and design the right program for your knee. See below to find the right specialist for you! An interesting finding is that many people are walking around with arthritis, and they do not have pain. If you have pain, and you've been diagnosed with arthritis, that does not mean that you can't reduce your pain levels and return to activities you want to do without pain. With properly guided physical therapy treatment, people with knee arthritis frequently return to their recreational activities without pain! Moreover, they learn how to take care of their knee. Typical treatments include special pain-free exercises, comfortable manual therapy techniques designed to improve your movement and decrease pain, possible use of moist heat or other agents designed to stimulate circulation, cold laser to decrease pain, and hivamat to remove inflammation. For cases of arthritis where surgery was deamed indicated, special exercises incorporated with a semi-standardized dry needling protocol have allowed patients to significantly reduce pain and hold of therapy for several years. Being that arthritis is more of a symptom of a mechanical problem or an auto-immune disorder, the key is to find out what factors are causing the arthritis to develop. Arthritis is not a common disease that occurs because of aging. Mechanical problems in the foot or hip may be present. You may not have pain in these areas, but there could be a problem with certain movements or weaknesses in certain muscles causing compensation in your knee. Did you know that certain foods can promote arthritis? There are some people very sensitive to the nightshades group of foods, and it's almost like they are taking an inflammatory medication! Simply removing these foods from your diet can remedy the pain and stiffness often in a surprising fashion. There is one food in this group that is considered very healthy it would shock you! And it's not what you think! You can check with our clinic for specific instructions and a listing of these foods. Always check with your medical doctor before making significant dietary changes. Call us at 662-773-3700. Old injuries, congenital anomalies, exercising wrong, muscle imbalance, and overuse syndromes are also potiential causes.